Most of the WordPress sites I operate have the comments turned off. But on a few, I encourage them, and if the websites are about TV or entertainment, people comment. Those websites are “protected” by Akismet or other anti-spam plugins, however, many of them have failed to block a whole bunch of spam lately. I have clicked “spam” on “cheap Viagra”, “cheap Cialis”, and “cheap pills” so many times I think I am getting carpal tunnel. Does this even help the spammers? So, the reason these bots leave comments is so they can get a a link to their website with the anchor text “viagra” in hopes that their site will rank better for this term. These people don’t care if their sites get trashed or hit with Google penalties – they just churn em and burn em. But, are their efforts worthless? A quick Google search or three for their search term reveals these sites are nowhere to be found, not even on page 4 or 5. c9superactive.com, pills6via.com, and 500 other sites are nowhere to be found in search. WordPress comment links are what we call NoFollow. While debate exists of the value of these links, most people think they do not help. I think they do, but, only in a nice, diverse backlink portfolio. 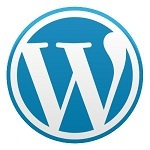 If 99% of your links come from WordPress comments, you are not going to rank. Good links take real effort to earn. Running an automated bot to spam the web is a tactic that died many years ago. If you are a spammer and you happen to read this, please knock it off. There are better ways to make money online. Heck, develop a working WordPress spam blocker, I’ll be your first paying customer. Have you stopped the spam? What is your favorite spam blocking plugin for the native WordPress comment system?